Leapfunder makes investing in startups simple, giving Angel investors access to promising startups and a steady deal-flow. This lowers the barriers to making informed and uncomplicated investing decisions. 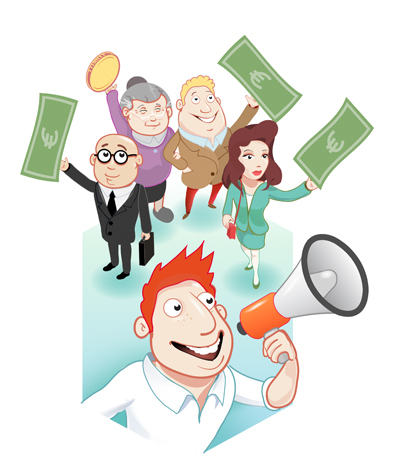 Each individual investor chooses whether to make any particular investment in their own way. Some investors scrutinize the quality of the team. If the plan is less convincing, a good team can always rewrite it. Other investors focus on the plan and the first product prototypes. It is quite important that every investor should realize that these investment are very risky. If ultimately, the company is not successful, it is much better if you still feel it was worth it. When you choose to invest in a company via Leapfunder, your investment is deposited in an Escrow account. This is to prevent the company from using the money before they have achieved their Minimum Investment. Only if the Minimum Investment has been achieved before the First Closing Date, the money will be transferred to the account of the company. If the Minimum is not reached, the money will simply be refunded, with no cost. Investment can start from €1.000, and on average investments fall between €5k-10k - though amounts have exceeded €200k. At the end of a successful round, any funds that haven’t been released yet are transferred to the entrepreneur who can now use the money for whatever they indicated in the Information Memorandum. Each time this cash is released to the start-up, the corresponding investors get a Leapfunder Note for the amount they have invested. 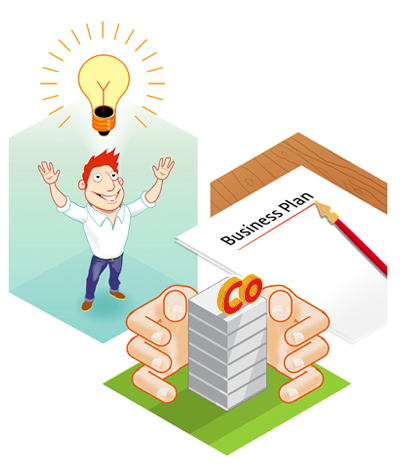 During the subsequent growth phase for the start-up, the investors can contribute a lot by offering help and assistance. Look for valuable contacts in your network and try to bring in customers. An active group of investors can really make the difference. Later – at a time when the value of the shares can be estimated more precisely – the Leapfunder Note will be converted to shares that are held by a Special Purpose Vehicle (SPV). You will get the shares at a Discount to reward you for getting in early. The Leapfunder Note will also have increased in value with the pre-agreed Interest. In other words: you will get significantly more shares for your money than later investors. There comes a time when the Leapfunder Notes will be converted into shares. This usually happens when a large investor decides to invest. The value of the shares will be determined by the price offered by the large investor. After conversion, investors are pooled through an Special Purpose Vehicle (SPV) and act as a single investor in the start-up’s shareholders meeting. • A large (€100,000) investor invests in fresh shares in the start-up. (There is also a special Leapfunder XL Note which converts with a > €500,000 investment: this is clear when you invest). • The start-up is acquired by another company. 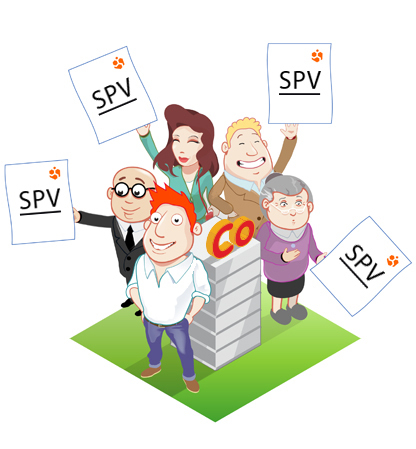 After Conversion you hold shares in the company via an SPV. By investing early you took a considerable risk. To compensate for this risk you receive both an Interest on the value of your Leapfunder Note, and a Discount on the price of the shares. The Interest and the Discount are found in the Information Memorandum. What is not fixed is what % of the company you will eventually get, since when you invested the value of the company was still highly uncertain. Example: An investor has invested €1,000. After one year this has risen by 10% interest to €1,100. There is a conversion because a new investor decides to invest €100,000 in new shares in MedicSoftware at a valuation of €33 per share. At conversion there is an additional 20% Discount on the shares for the Leapfunder Note holders, so they only pay €26,40 per share. For this reason, the investor receives €1,100/ €26,40 = 42 shares, with a total value of €1,375. The shares will be held with the other Leapfunder Note investors in an SPV. Apart from the Interest and the Discount there may also be a Cap. The Cap is also agreed in advance and is stated clearly in the Information Memorandum. A Cap is a maximum price that will be used for Conversion. Naturally, investors in a Convertible often like to know roughly what share price they should expect during the Conversion. Of course it is difficult to say this in advance. But the Cap is a kind of guarantee: the pre-money valuation used for conversion will never be higher than then Cap. Of course the price can be lower: if a large investor invests at a lower price, as discussed above. Leapfunder lowers the boundaries between investors and entrepreneurs, providing you access to talented entrepreneurs and the tools you need to invest online. Start investing Start investing Any questions?